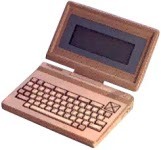 The PC-8410 was NEC's second generation of laptop. 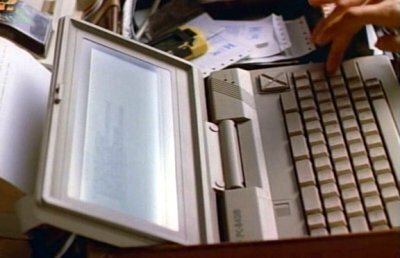 Utilising a Z80 microprocessor with 64 KB RAM, it was powered by four C-cells. 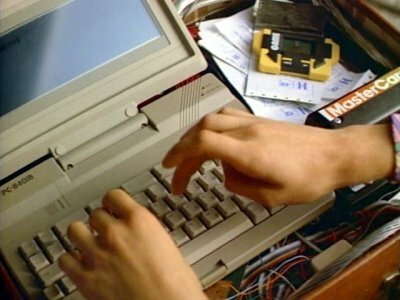 David, the computer expert in the group, uses his PC-8410B to store past papers for university examinations that he prints out for students for a fee. This machine only has 64K — not enough to store many exam papers.